Asked by reporters if ISIS had lost 100 percent of its territory, President Donald Trump's spokeswoman, Sarah Sanders, said: "Yes." The White House said Friday that the ISIS has lost its final territory in Syria -- even as reports of continued fighting came from the battlefield of Baghouz. Asked by reporters if ISIS had lost 100 percent of its territory, she replied: "Yes." The White House declaration came after days of bombing and other attacks by Kurdish-led forces to clear the final tiny pockets of resistance by ISIS members in the village of Baghouz, where they made a last stand. 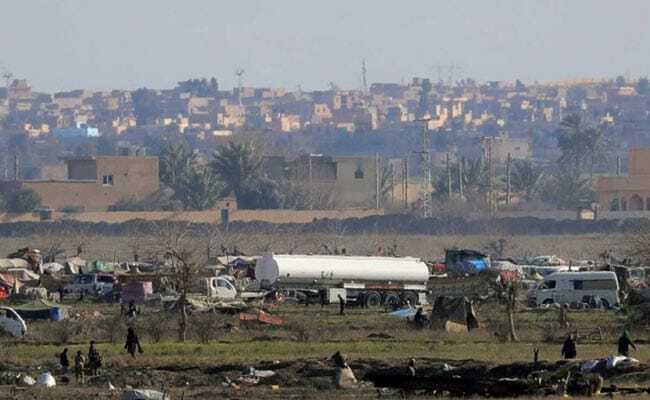 US-led coalition warplanes have been supporting local ground forces in the onslaught on Baghouz that began February 9, meeting fierce resistance from the fighters and an unexpectedly large number of civilians hunkered down alongside the fighters. ISIS declared a "caliphate" in June 2014 after seizing a vast swathe of territory larger than Britain straddling Iraq and Syria. The fighters still retains a shadowy presence in eastern Syria's vast Badia desert.